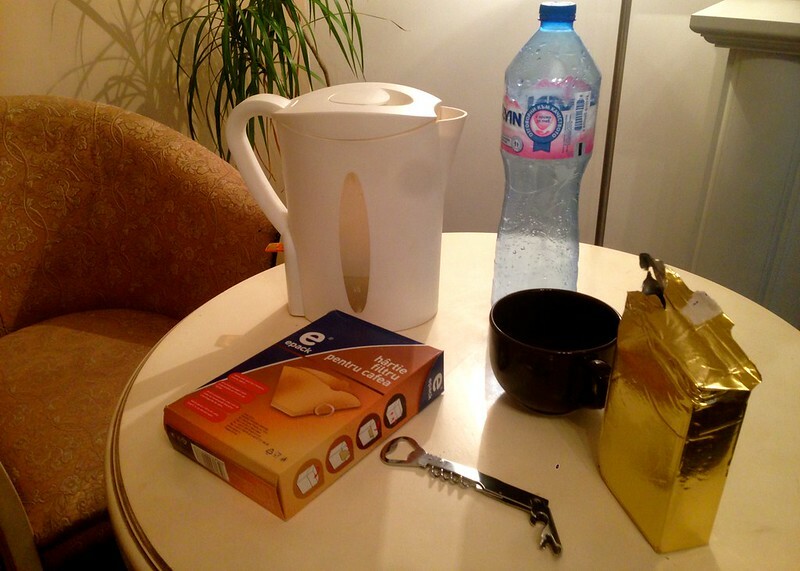 First world problem, You check into your hostel/hotel and you quickly discover that you only have access to a kettle. 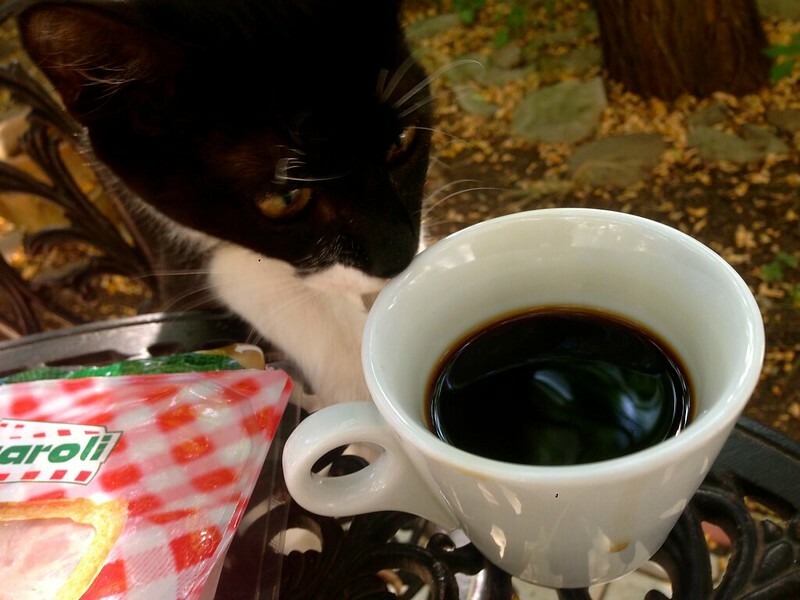 I don’t know about you, but instant coffee just does not cut it for me, I have to get my 4 kicks of caffeine a day and heading to the coffee shop all the time starts to add up. Not to worry, I have a short term low cost solution to your problem that won’t cost you the earth. 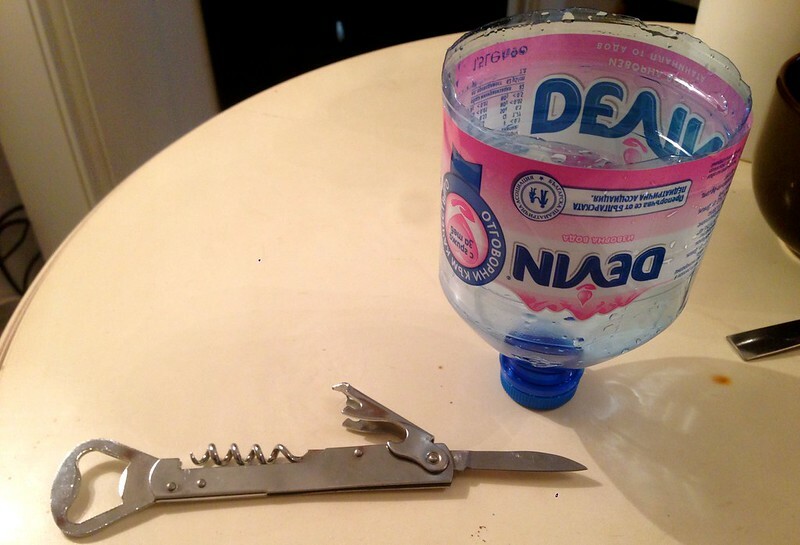 As you can see I cut the bottle with the bottle opener because it was the sharpest item I could find in my room, you could ask for a pair of scissors at reception if you can’t find one, ensure that you get enough space in the bottle top to fit the paper in. Now remember to unscrew the lid from the bottle, it’s not needed. 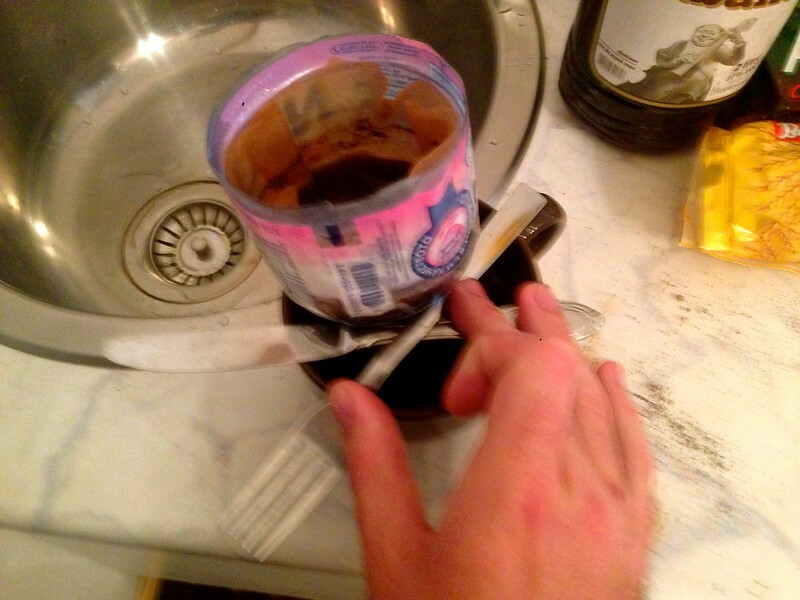 Step Three: Place the filter paper and coffee into the bottle top. 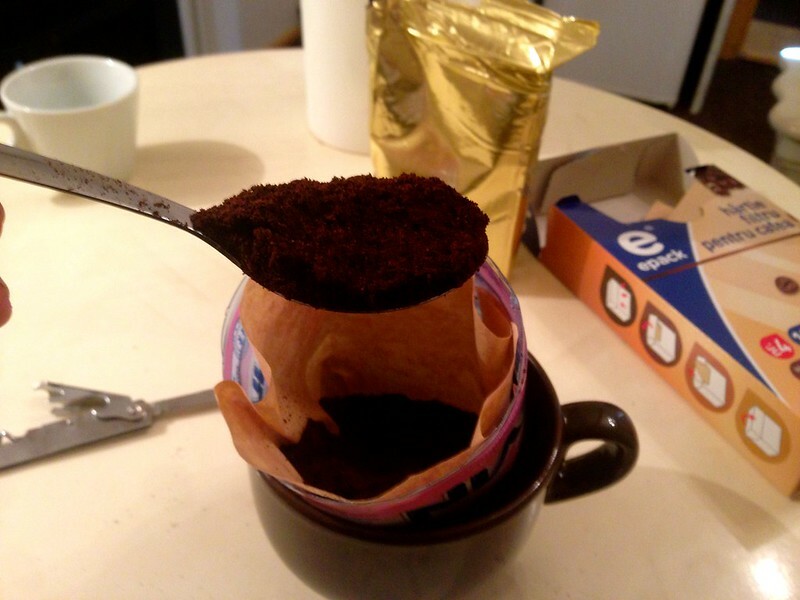 Next step, you want to fit the filter paper into the bottle head, make sure the paper is pushed around the edge to form the shape of the bottle and the bottom of the paper naturally hangs so the coffee can drip. Open your coffee bag and place 25 grams of coffee powder in the filter paper, this is roughly 3 tablespoons of freshly grounded coffee. Now place the filter onto of one of your mugs. Now your coffee system is set up, simply add hot water, this can either be done by a kettle, heating in a microwave, using hostel common room boiler or by heating it up on a stove you can find. 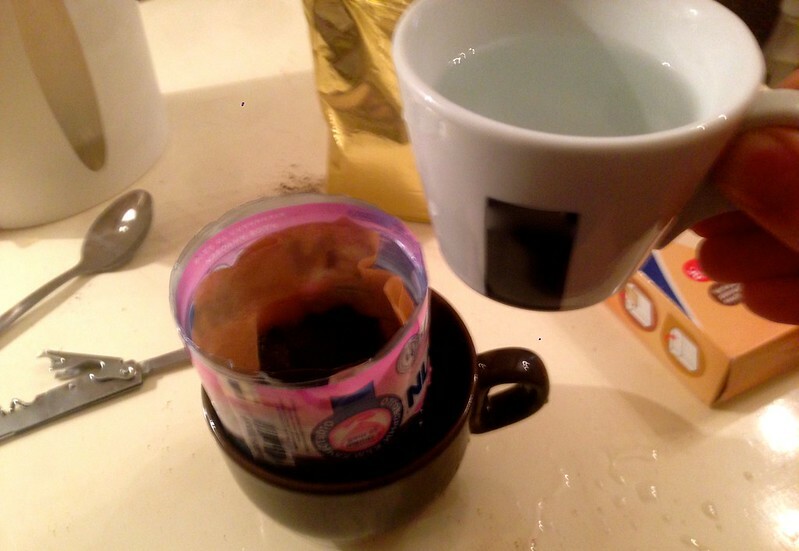 Best way to measure the correct amount of water is add the water to a cup, then put the filter system over a cup of the same size then add the water, make sure you do this over a sink just in case you add to much and it overflows, feel free to stir the coffee and water as it drips for 5 seconds, then let it do its magic. 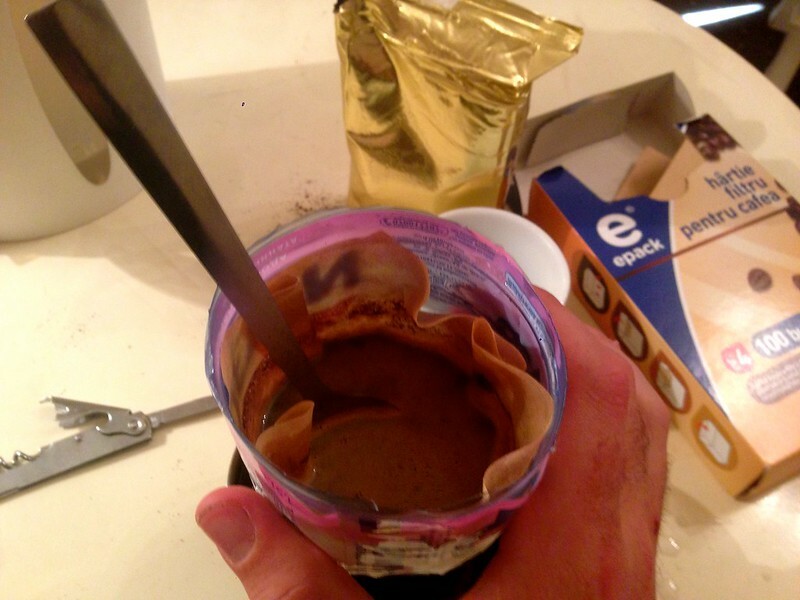 Last tip ensure that the bottle top doesn’t touch the bottom let it hang so the drip can work effectively. You can do this by balancing it on top with a knife and fork. Just make sure no one gets to it before you do! Thank you for reading my Hotel/Hostel hack, I hope you enjoyed it and looking forward to brewing your next coffee on your next trip. Do you have any more handy tips to make use of what you have in your room? Please feel to post your Travel Hacks and advice below in the comment section, thank you!